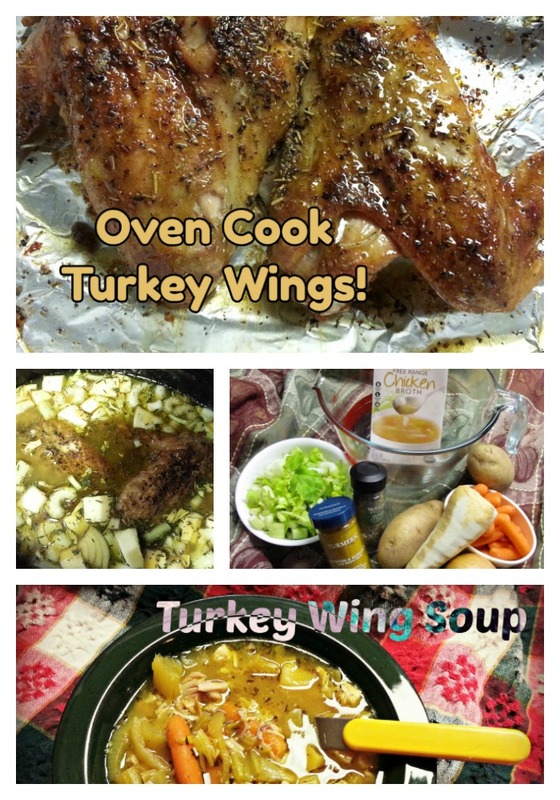 Oven Cook Turkey Wings and make the best turkey wing soup! I was sure winter had arrived early in November. It was definitely cold enough for soup. The temperatures did moderate back into the warm category but I’m sure they will drop back down again. 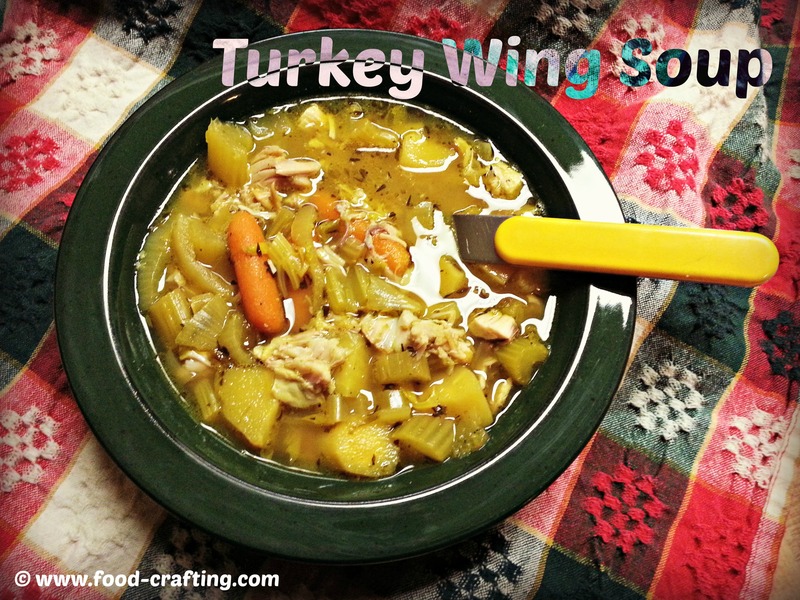 Usually reserved as a post-Thanksgiving meal using the leftover wings, we found that in the past few years, the main ingredients for this hearty “main meal” type soup – the wings – disappeared on Turkey Day itself. 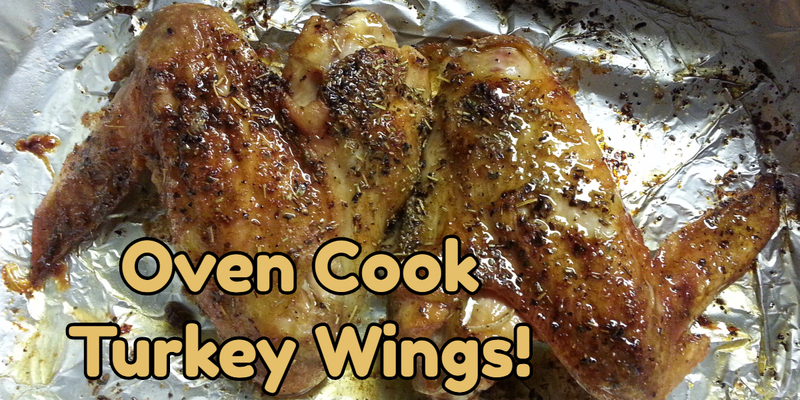 Oven Cook Turkey Wings For A Hearty Soup! We’ve always prepared the soup with the roasted wings from the Thanksgiving bird but why not try it with fresh turkey wings? 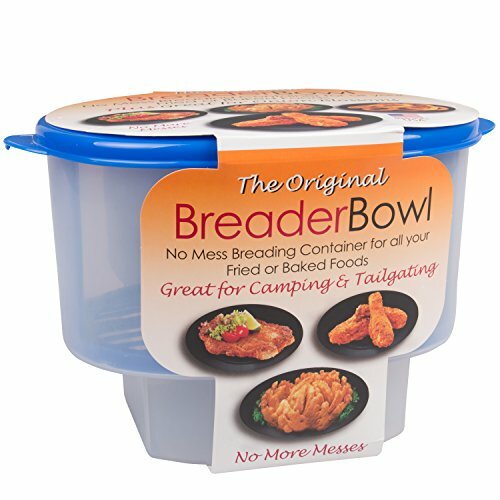 Or with turkey wings which have been roasted specifically for this purpose? In a hurry? Check out this huge selection of Thanksgiving recipes and Holiday meal essentials. Obviously there is more than many different ways to cook turkey wings. I’ve even used the slow cooker to prepare them a day earlier – speeds things up when comes time to assemble the recipe! You can also take this soup to another level by roasting turkey thighs and creating a stew like main dish. Turkey parts present endless opportunities! First Things First: Turkey Soup Ingredients! Let’s stick to the wing part of this big bird. Here is our hearty, Turkey Wing Soup made with freshly oven roasted turkey wings and a little twist to add flavor. The only problem – if you can call it a problem – is that this soup tastes best the next day. So, we never eat the soup on the same day it is cooked. Wegmans® sells fresh turkey parts which are ideally packaged for soup! It is rare to find pieces of nearly equal size but when packaged two wings per pack, it yields perfect portions for four. Oven Cook Turkey Wings For Extra Flavor! 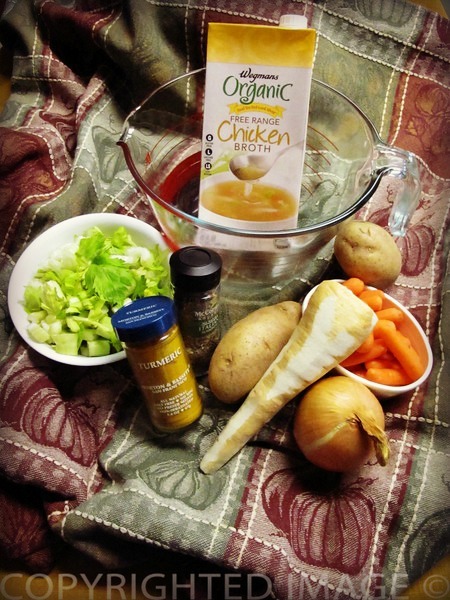 You can opt to cook the wings raw along with all the other soup ingredients listed below. You can also put a little twist on it. Oven roast the turkey wings seasoned as if you were preparing Thanksgiving turkey; when cool, remove the meat and set aside. You are adding to the total cooking time for the soup but you would think it’s Thanksgiving all over again. Prepare the soup as directed in the recipe. Its basically a rich vegetable soup flavored with smoked turkey parts. When the soup is cooked, remove the smoked pieces and add the meat removed from the turkey wings. Heat through. Add the cold water to a large dutch oven or a crock pot. To the water, add the turkey wings and the two pieces of smoked turkey neck. The smoked turkey imparts a wonderful flavor to the soup. Add the potato chunks, the chopped celery including the leaves, carrots, parsnips, onion, the fresh thyme, dried herbs and turmeric. Crumble the bouillon cubes between your fingers and add to the stock pot. Careful with the salt and pepper. The bouillon cubes contain lots of sodium and the roasted turkey has also been seasoned. Adjust the seasoning when the soup has simmered a while. Simmer for 1 hour or 2. You want the turkey meat to be fall off the bone tender. Carefully remove the wings from the pot using a large straining ladle. Set aside on a large platter to cool off. Remove the meat from the bones and cut into small to medium pieces (spoon size). You can add the meat to the broth, reheat and adjust seasonings or you can add the meat to each soup bowl and ladle the broth and vegetables over the meat. This soup is perfect prepared on Day 1 and served on Day 2. The flavors have had time to blend, the meat from roasted turkey pieces is ready to add to the stock and veggies. The soup and dinner comes together quickly! With fresh bread and butter, you have a hearty meal. The flavor is wonderful thanks to the spices already roasted into the turkey. Don’t forget to use the turkey bones including the carcass to make rich bone broth for other soups. “Beautiful soup, so rich and green, Waiting in a hot tureen! 0.1 Oven Cook Turkey Wings For A Hearty Soup! 0.2 First Things First: Turkey Soup Ingredients! 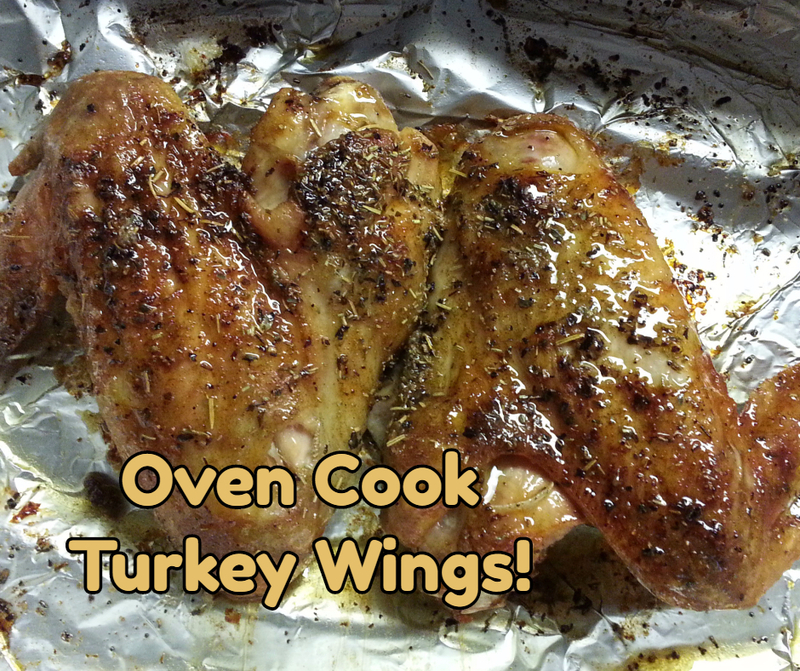 0.3 Oven Cook Turkey Wings For Extra Flavor!